Hello everybody! I love this page. 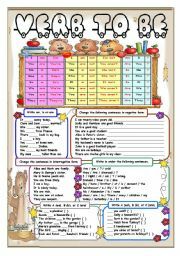 I use a lot of worksheets and materials you create and it helps me to improve day after day my teaching methods and I learn a lot with you. I hope you like my materials and don´t forget visiting my blogs: ingleslaslomas.blogspot.com and cbmceiplaslomasdeaguilas.blogspot.com br Thanks! Hello dear friends! 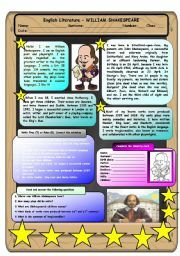 I´ve created this worksheet as an introduction for my students. They have been reading the biography of this great writer and it can be used as a review. 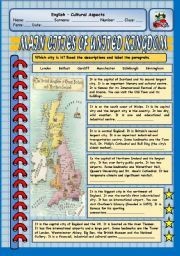 It contains 3 exercises: True or false, Reading Comprehension and fill the gaps (create the identity card). Thanks for your comments!!! 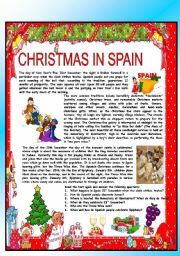 I have created a set of Christmas around the world. This is part 5 from Scotland. Download others (Spain, Italy, France, England, and Scotland) in my profile. Students read the text and answer the questions (reading comprehension). Black and white version included. Thanks in advance! Students read the information about Mary, John and Sally. Then, they must write about theirselves. 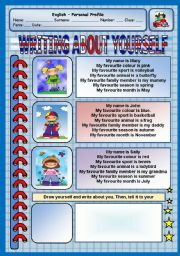 They will write about names, favourite colour, day, family member, season, month... I hope you use it. Good luck and thanks for your comments in advance! 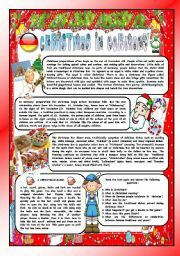 I have created a set of Christmas around the world. 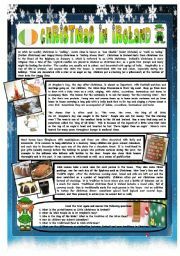 This is part 7 from Ireland. Download others (Spain, Italy, France, England, Scotland and Wales) in my profile. Students read the text and answer the questions (reading comprehension). Black and white version included. Thanks in advance! 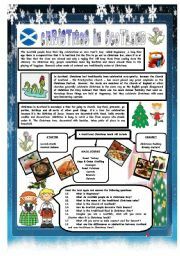 I have created a set of Christmas around the world. This is part 8 from Germany. Download others (Spain, Italy, France, England, Scotland, Wales and Ireland) in my profile. Students read the text and answer the questions (reading comprehension). Black and white version included. Thanks in advance! 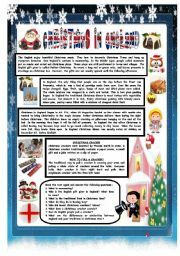 I have created a set of Christmas around the world. This is part 1 from Spain (my country). Students read the text and answer the questions (reading comprehensio. Black and white version included. Thanks in advance! This is a fairy tale. The ugly duckling can be showed to children to bear in mind that beauty it is not so important. 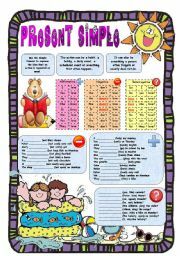 This power point can be added to the worksheet with the same name: The ugly duckling. Hello dear friends. This Ppt is for the topic "Plants". I use it in my lessons for living things, parts of a plant, what plants give us... I hope you like it. Regards, Christopher. This is a fairy tale which I use with my pupils in order to work the friendship, the happiness, etc. It contains sounds and movements too. My students like all the work I create, so this is a motivating and funny resource. They like it.